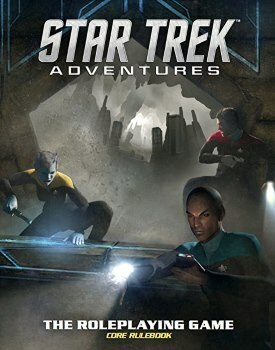 "Modiphius Star Trek: Adventures Roleplaying book Star Trek Adventures takes you to the Final Frontier of the Galaxy, where new discoveries await keen explorers of Starfleet. Your duties may take you to the edges of known space, or to Federation colonies in need, to the borders of neighbouring galactic powers or into the eye of interstellar phenomena. Your ship and your crew epitomise the best Starfleet and the United Federation of Planets has to offer, and you are needed more than ever."